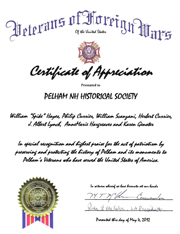 This non profit library contains a great variety of materials pertaining to the history and families of Pelham collected over a lifetime by Pelham Historian William T. Hayes and reproduced in digital format and placed on a website designed and created by Karen Genoter, Director of Computer Services for the Pelham Historical Society. 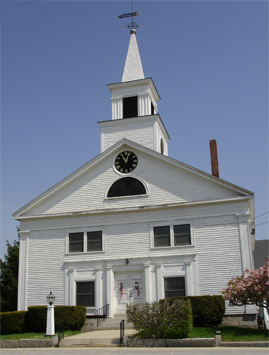 While this library is still in its infancy, it has already received an award for being the largest most comprehensive single town on line history and genealogy library in the State of New Hampshire. Based on the library's current paper holdings, the on line digital library will increase five fold over the next five years. 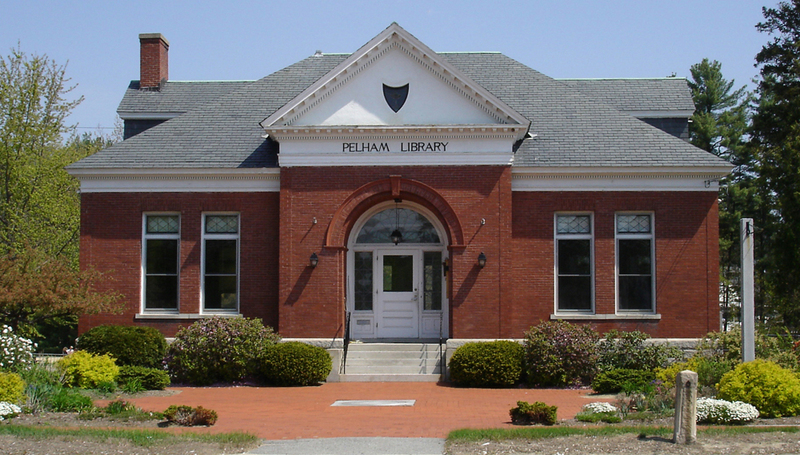 The Pelham Historical Society has established the Ruth Sherburne Sturrus Art Gallery. Ruth Evelyn Sherburne was born on January 6, 1919 and shortly thereafter was adopted by Ernest G. Sherburne and Mary (May) Hillman Sherburne. Several paintings, by Mary (May) Hillman Sherburne, were donated by Ruth Sherburne Sturrus, a generous benefactor of the Pelham Historical Society. Mary "May" Hillman Sherburne, a daughter of Frank Hillman and Alice Greeley Hillman was born in 1888 and died in 1978 at the age 90. In her later years she was a noted local artist. 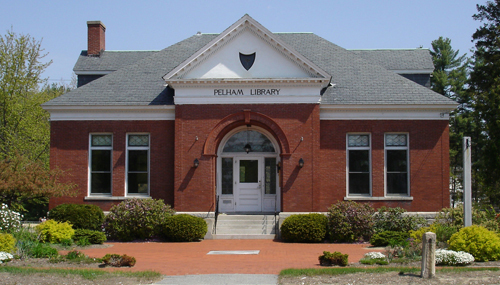 Several of her paintings were displayed at the Art Exhibit held at the Pelham Public Library June 15, 1996. 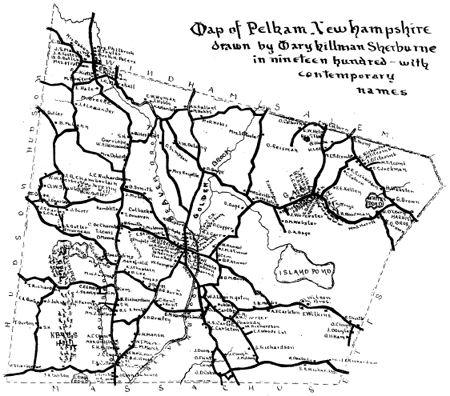 At age 12, she prepared this map of Pelham, possibly as part of a school project. This map can be found in the Pelham 250th Anniversary Souvenir/Program Book sold on our On-Line Bookstore and in our Online Library.